Locavore Farms Surprise Valley is a U-pick vegetable farm and agritourism destination owned by Laurie Wayne. After earning a certificate in permaculture and working for Oregon State University Cooperative Extension, Laurie set to work on a piece of land in Modoc County that she purchased in 1999. Laurie’s stewardship philosophy is to farm in harmony with nature. She designed her farm to leave one-third for the wild, one-third for food production and one-third pasture. Outdoors, Laurie specializes in vegetables, herbs and teas; in her two hoop houses she grows salad mix, lettuce, tomatoes, herbs, cucumbers, and peppers. Laurie also raises chickens and leases pasture to ranchers in the area. The previous owners of Laurie’s property bulldozed the creek to make it straight, which caused the creek to run narrow and fast, eroding the soil and diminishing wildlife habitat. The water incised the soil, causing sedimentation that prevents Laurie from taking advantage of the creek for irrigation. The well dried out and left the farm without a potable water source. Additionally, the region has an incredibly short growing season of only 90 days. Finally, the native sage grouse is at risk for being added to the endangered species list; if it becomes listed, Laurie would longer be able to run cattle at Locavore Farm. Laurie left fallen brush in the creek to redirect the flow of water, and planted native willow and cottonwood trees along the creek. She reached out to the Modoc County Natural Resources Conservation Service (NRCS) and received financial assistance when drilling a new 180 foot well. NRCS paid for a pump, and from that well, a half mile of pipes carry water to two stock tanks in the pasture areas. NRCS provided engineering of the stock water system and cost-share specs on stock tanks. The irrigation setup involves utilizing a diversion from the creek on the property to flood irrigate the pasture. Laurie worked to exclude livestock from the riparian corridor and spring-fed pond while building wildlife habitat in these areas. 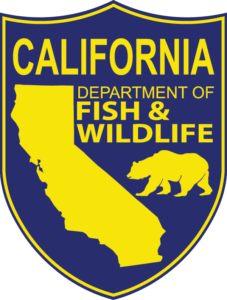 NRCS shared the cost for the installation of wildlife-friendly fencing. An acre of drip irrigation was installed to irrigate the vegetables. To extend the growing season, NRCS helped Laurie construct two high tunnel greenhouses that have led to an increase in yields and healthier plants. Sagebrush habitat for the sage grouse competes with juniper, so Locavore Farms participated in the Sage Grouse Initiative by working with US Partners for Fish and Wildlife, Cal-Fire, and the Central Modoc Resource Conservation District to remove 27 acres of juniper. Two hundred and twenty live stakes were planted, producing 40 growing plants. Laurie also replaced 1,800 feet of fencing around the pasture. Willow and cottonwood along the creek and pond banks had been eaten by cows and as a result there was an algae imbalance, which meant the creek could accommodate waterfowl but not fish. The irrigation project was monumental but not overly complex. During the process, Laurie discovered that she needed to rent a dingo ditch witch to dig an irrigation ditch. Planting willow and cotton trees along the creek and pond banks helped restore the eroded streambank. With the addition of more cover along the creek there has been an increase in the presence of native trout. Going from a one-half horsepower to a five horsepower variable speed pump saved significant energy. 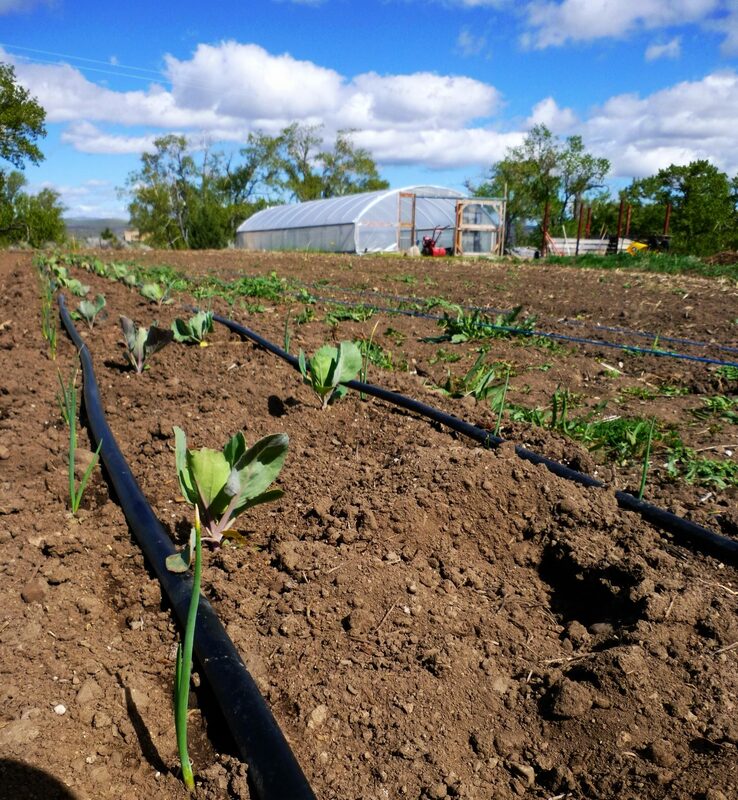 One acre of row crops is now under drip irrigation, due to improving pumping capacity and efficiency. The high tunnels were a game changer, allowing Locavore Farms to produce vegetables nine to ten months a year. Other growers in the area adopted the practice as well, and now they are growing all year long.